Prosecutors likely can’t meet the new legal threshold for the life-without-parole sentence given to Chancey Luna, who was 16 when he shot and killed Australian Chris Lane in 2013, District Attorney Jason Hicks told a state House panel on Tuesday. As a result of the high court’s decision, which came in 2012 but wasn’t applied retroactively until 2016, prosecutors must now prove “irreparable corruption” and “permanent incorrigibility,” a legal threshold Hicks said he doesn’t believe he can meet in the Luna case. Still, Hicks argued that some teen killers are so calculating and callous that they deserve to never have a chance at release. 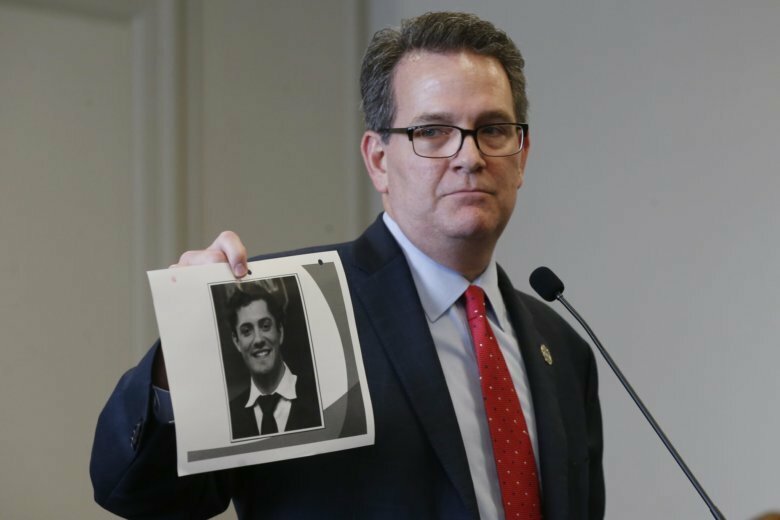 He cited the case of 14-year-old Alyssa Wiles, whose mother delivered emotional testimony to lawmakers about how her daughter’s 16-year-old boyfriend stabbed her to death in her bedroom. Zaepfel said she believes she’s an entirely different person than she was at 17, and she would like a chance at freedom one day. Given the Supreme Court’s guidance on the issue, most states are now banning no-parole sentences altogether, said James Dold, advocacy director for The Campaign for the Fair Sentencing of Youth, which opposes no-parole sentences for children. While there were only five states that banned such sentences before the court’s decision, there are now 20 states and the District of Columbia that prohibit them, including Texas, Arkansas, Kansas and Colorado. “When you have Texas and Arkansas on the same page as California and Massachusetts, you’re really talking about broad bipartisan support,” Dold said. State Rep. Emily Virgin, a Democrat from Norman who requested Tuesday’s legislative hearing, wrote a bill last year that would add Oklahoma to the list of states banning no-parole sentences for juveniles, but it failed to get a hearing in the GOP-controlled House.